‘Affordable Ferrari‘ can seem like a bit of an oxymoron, especially in a year when the Classic Ferrari Market has been breaking sales records, seeing a 250 GTO sold for $38 million. 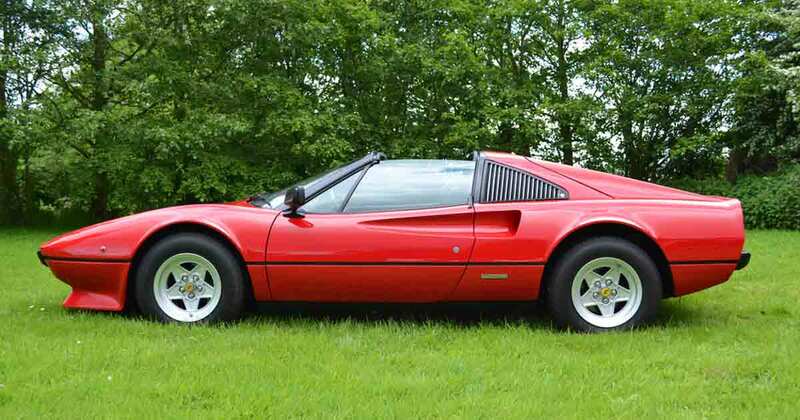 Yet, if you’re quick, there are still a few classic choices from Maranello available for well under £100K. Almost too wide for English roads and styling that’s very much stuck in the 1980s, the big TR’s values have remained surprisingly low for almost a decade. But as the post baby-boom generation of collectors starts snapping up the cars that were on their childhood bedroom walls, eighties icons like the Lamborghini Countach and Ferrari Testarossa will go up considerably in value. The rarer Countach has already skyrocketed. The sale of a low-mileage 1989 TR at the RM Auction in Pebble Beach, California in August 2014 for over £150,000 probably marked the beginning of the end to the supply of cheap Testarossas. Don’t say we didn’t warn you. It was almost a tie between numbers two and three on the list but although less powerful, we vote for the 308 over the 328 simply because we prefer the more vintage Ferrari-style interior and the front and rear treatments. The earliest glass fibre cars are the most valuable edging up towards a hundred grand, followed by the carburetted steel cars. Next are the four valve Quattrovalvole cars. The Two valve injected cars are the red-headed step-children although this is more the market’s perception than reality. Their performance really isn’t as bad as some may lead you to believe. All 308s are up about 15-20% in value over last year. Strangely, they’re priced about the same in dollars and pounds in spite of the fact that the British currency is worth over 50% more. While 308s, in Ferrari terms, are not particularly scarce, the signs are they are now on the rise and can be expected to rise steadily in value for the foreseeable future. 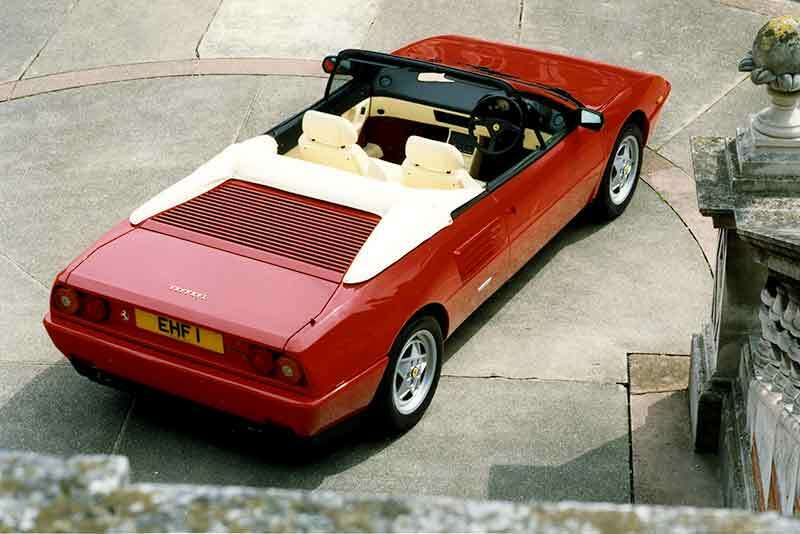 The 328 replaced the 308 in 1985, with a bigger engine, revised styling, faster and better equipped evolution of the 308. The debate over which of the two cars is more desirable will very possibly continue forever. While the 328 has a larger engine with more torque and horsepower, the front and rear treatments are arguably less lovely than the 308’s. Super low mileage 328s have become a staple at U.S. classic car auctions of late bringing anywhere from $100,000 to $160,000. Cars with miles of over 40,000 still bring around $42,000 in the U.S. but don’t expect that trend to last forever. As with 308s, prices for average 328s tend to be almost the same in pounds as dollars and the 328 prices have been climbing too. The £50,000 Mondial has been a long time coming but finally that seems to be the asking price for near perfect examples of the t-series cars, the last and best of the long-lived Mondial series. Merely excellent cars still fall in the £25,000 to £30,000 range. For a car that has taken its fair share of criticism over the years, the Mondial is actually a pretty special car. Four seats, the option of a convertible for those that like to put the top down and the lovely sound of Ferrari’s flat plane crankshaft V8. Mondial ownership buys entry to proper Ferrari sports car thrills that can’t be replicated anywhere else for the same price. It remains Ferrari’s only mid-engine open 2+2 to date. The earlier 308 GT4 also adds a dash a practicality and a bit more of a vintage feel. 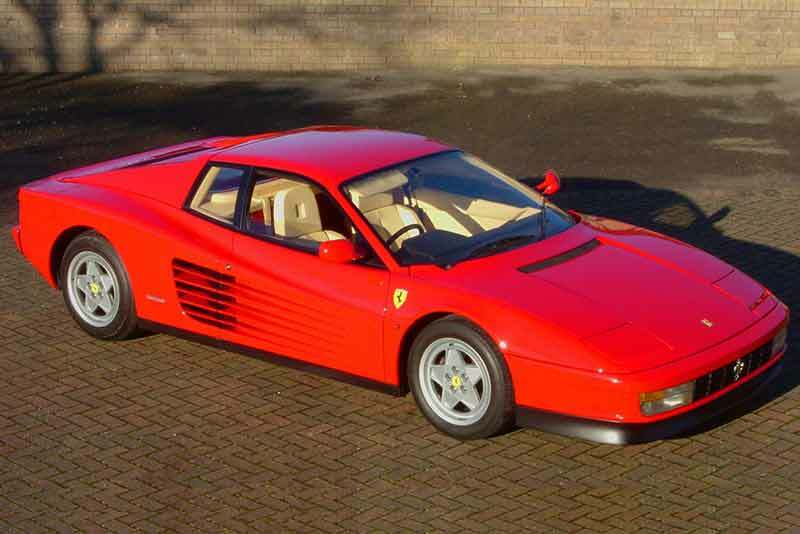 Early Mondial 8s (which were all coupés) are among the least expensive Ferraris to be had and probably are destined to remain the absolute entry-level for some time. The 365 GT4 family was Ferrari’s shot at a managing director’s GT in the Aston Martin DBS, Jensen Interceptor mold. Styled in an era when executives were actually being kidnapped by left-wing terrorists in Western Europe, it was understandably low-key, something that doesn’t sit well with collectors today. But as even four headlamp Ferrari 330 GT 2+2s break £150,000 in today’s market, this car, the last of the front-engine V12 Ferraris to be developed during Enzo’s lifetime must inevitably rise in value. Manual gearbox 365s now seem destined to trade above £50,000 and more common 400i and 412s with General Motors autoboxes can still be had in the high teens and twenties. For how much longer is anyone’s guess.